The brand new novel from bestselling author Holly Hepburn, perfect for anyone who loves Jenny Colgan, Veronica Henry and Lucy Diamond. 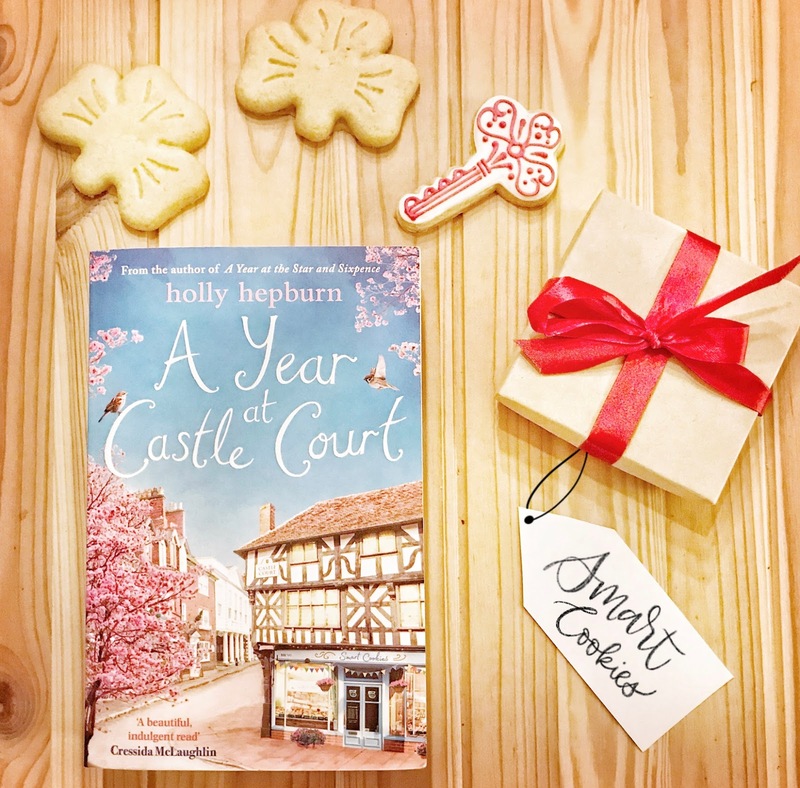 A Year at Castle Court is Holly Hepburn's four Castle Court e-novellas collected together as a novel for the first time. Blurb: Sadie is a single mum, nursing a broken heart. Her best friend from childhood, Cat, is burned out from working long hours as a chef in Paris. In need of a change, they decide to invest in their dream – running their own handmade biscuit shop in gorgeous Castle Court, a three-storey food court tucked away behind Chester's bustling streets. They soon discover that Castle Court has its own community – a little haven of delight against the stresses of the outside world. But not everyone welcomes the new business; the patisserie owner is less than pleased by what she sees as direct competition and Greg, who runs the fancy bistro that dominates one end of the courtyard, doesn't think Sadie and Cat have the talent or business acumen to succeed. Luckily, there's support in the form of the delectable Jaren, who owns the Dutch waffle house opposite Smart Cookies, and Swiss chocolate-shop owner, Elin. And if all else fails, the friends can drown their sorrows in Seb's cocktail bar on the third floor! I really loved the setting in a food court with so many different food options! Some of them sounded delicious: Dutch waffles, Swiss chocolates or an authentic American dinner, I was salivating! 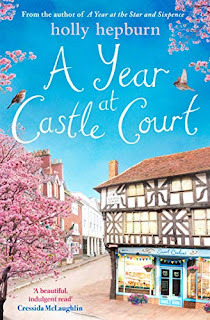 Why isn't Castle Court a real place? But what made this place so special were all the business owners and the little community they had created. I really enjoyed getting to know them (some more than others) and seeing their business grow. The story was definitely packed with lots of drama and plenty of twists. As it was first published as a serialized enovel, it is divided in four parts and each one ends in a cliff-hanger. Which made me want to keep reading to find out what was next in store for these characters. Poor Sadie and Cat, as soon as they were out of trouble, something new happened! But they kept growing from strength to strengh. Their biscuits sounded delicious too, I would really like to try my own hand at icing! 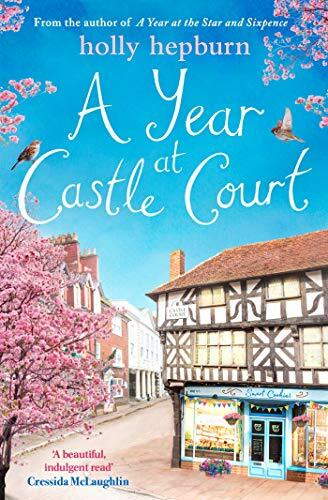 All in all, A Year at Castle Court is a light-hearted and highly entertaining read with lots going on. I loved how Holly Hepburn described everything so well, and I was able to picture all the shops and all the food in my mind perfectly. I always enjoy her fresh style and I am already looking forward to a new story by her. I would like to thank the publisher for sending me a copy of this book. This is my honest opinion.